Abbey School of Drama alumni John Connors and Tristan Heanue are among the latest winners with their film, “Today” in the Sky Road TV and Film Festival. See quotes from the IFTN.ie article below…. 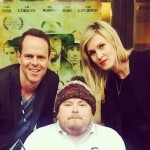 Tristan Heanue’s film ‘Today’ starring John Connors won two awards at Sky Road. ‘Today’, ‘Dead Dogs’ and ‘One Million Dubliners’ among Sky Road Winners (13 Oct 2015 : Seán Brosnan)The Sky Road TV & Film Festival took place 9-11 October with ‘Today’, ‘Dead Dogs’ and ‘One Million Dubliners’ all picking up awards.Tristan’s Heanue’s powerful short film ‘Today’ picked up to awards at the festival – Best Short Film as well as Best Short Film from a First Time Director. Today’ is a hard hitting drama about a man who wakes up one morning in his car, disorientated, with no recollection of how he ended up parked in the middle of nowhere. The harsh reality soon comes flooding back once he gathers his thoughts. 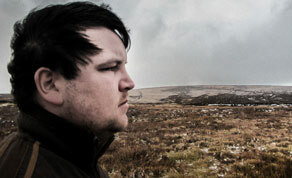 The short is produced by Paddy Slattery and stars John Connors.” More details on the article at IFTN.ie website. Our Advanced 6-Month Part-time Actor Training course is auditioning now. For more info click here: Advanced 6-Month Actor Training or email kwyeates@gmail.com. 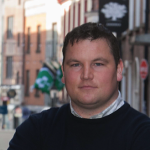 Galway Film Fleadh 2015 – Our Alumni! Irish Film and Television Awards 2015 – Our Alumni! 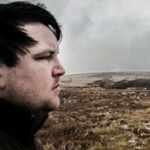 Huge congratulations our friends nominated for the Irish Film and Television Awards – but Especially our Abbey School of Drama alumni: John Connors nominated for “Actor in a Supporting Role in Drama” for Love/Hate and Matthew Daragh for his animated film ‘Ode to Love’, with Brown Bag Films. In this tough business, we are so happy to celebrate when talent is recognised!